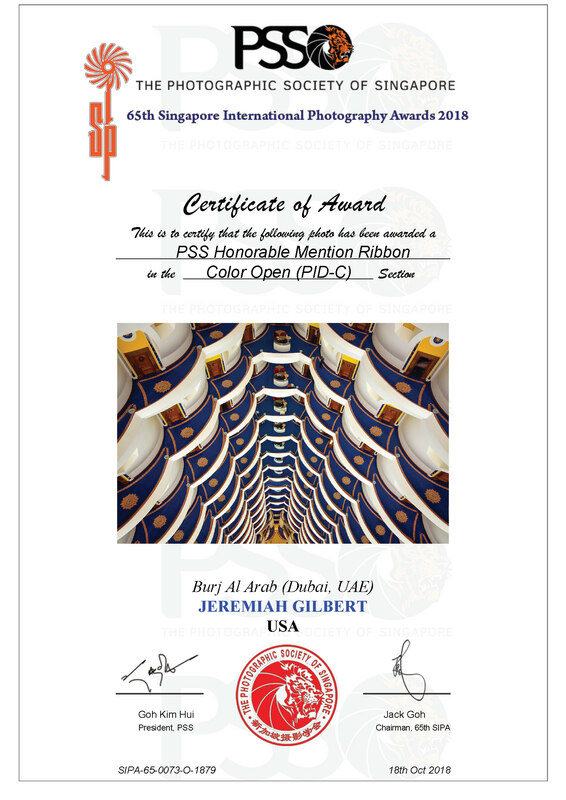 The Singapore International Photography Awards 2018 have accepted two of my photos for exhibition and one was awarded an Honorable Mention Ribbon: “Burj Al Arab (Dubai, UAE)” in the Open Color category. 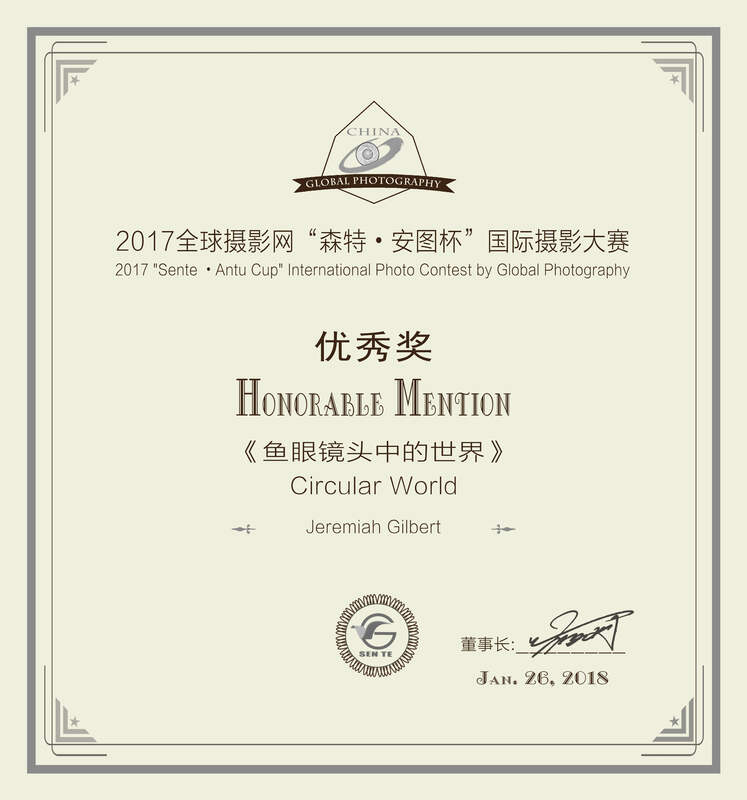 The exhibition will be held at The Photographic Society of Singapore, 30 Selegie Road, Selegie Art Centre, Singapore from 16th December 2018 to 13th January 2019. The Serbian exhibition PHOTO PCA CIRCUIT 2018 is organized by Photo Club Arizona (PCA), Photo Group Dragacevo (PGD), and Photo Group Stitkovo (PGS). 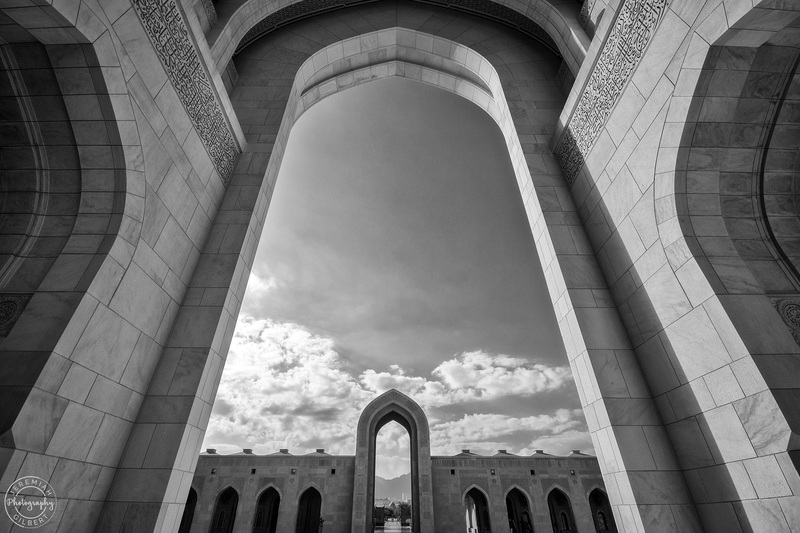 Photo Group Dragacevo has selected six of my photos to be exhibited and awarded one of them a gold medal: “Sultan Qaboos Grand Mosque (Muscat, Oman)” in the Open Monochrome category. The exhibition runs November 7-15 (PCA), November 20-30 (PGD), and December 15-25 (PGS). 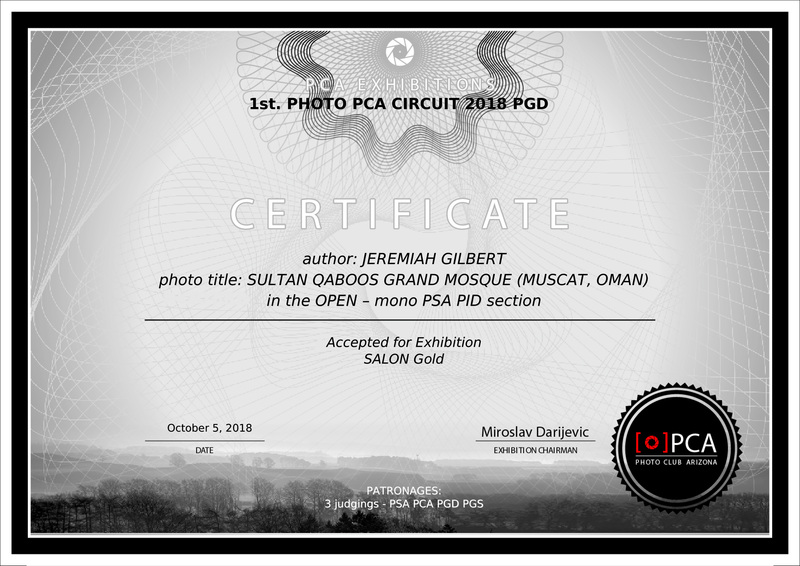 The Serbian exhibition PHOTO PCA CIRCUIT 2018 is organized by Photo Club Arizona (PCA), Photo Group Dragacevo (PGD), and Photo Group Stitkovo (PGS). 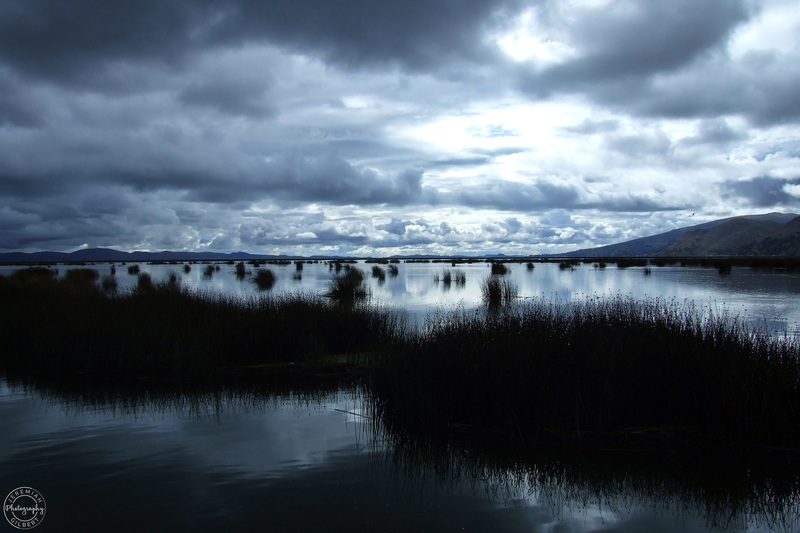 Photo Group Stitkovo has selected seven of my photos to be exhibited and awarded one of them a gold medal: “Lake Titicaca, Peru” in the Nature category. The exhibition runs November 7-15 (PCA), November 20-30 (PGD), and December 15-25 (PGS). 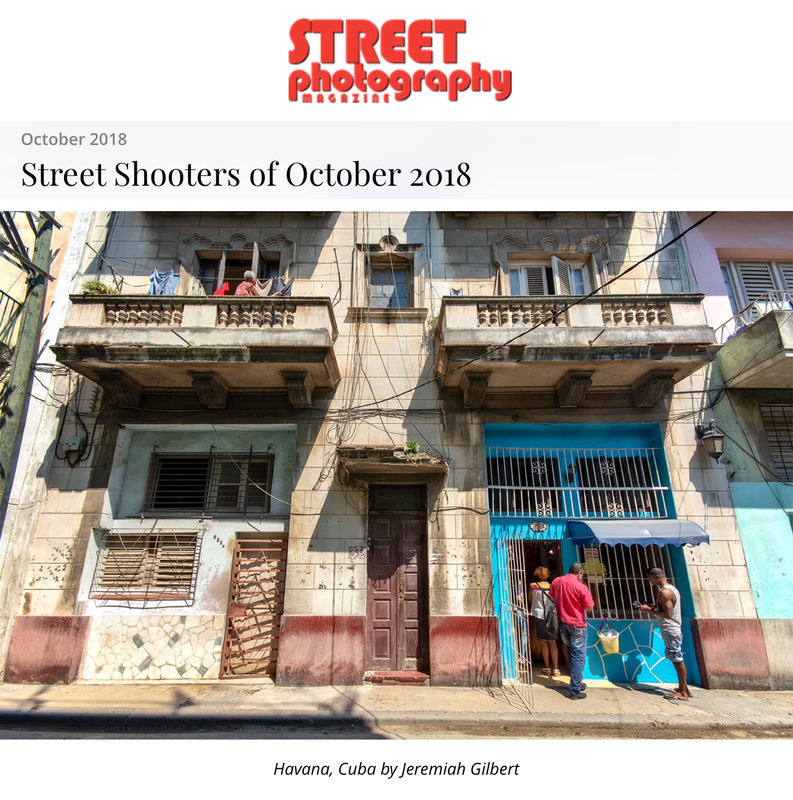 The Serbian exhibition PHOTO PCA CIRCUIT 2018 is organized by Photo Club Arizona (PCA), Photo Group Dragacevo (PGD), and Photo Group Stitkovo (PGS). 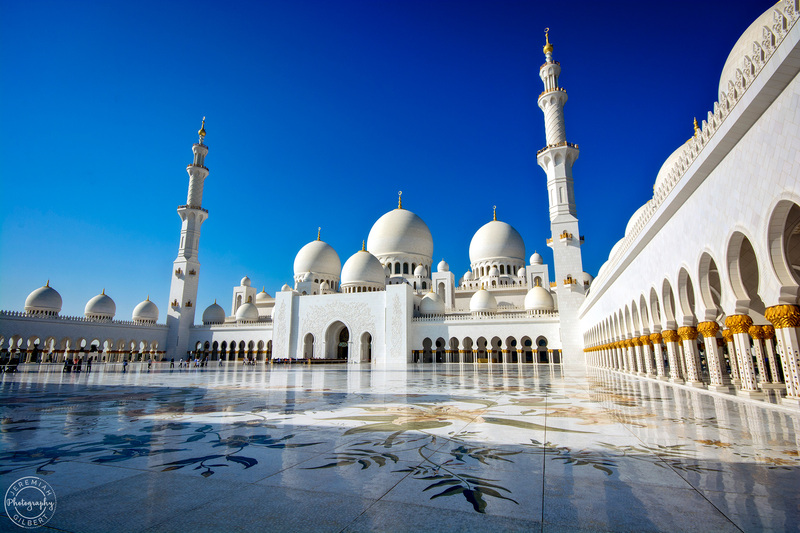 Photo Club Arizona has selected four of my photos to be exhibited and awarded one of them a silver medal: “Sheikh Zayed Mosque (Abu Dhabi, UAE)” in the Open Color category. The exhibition runs November 7-15 (PCA), November 20-30 (PGD), and December 15-25 (PGS).